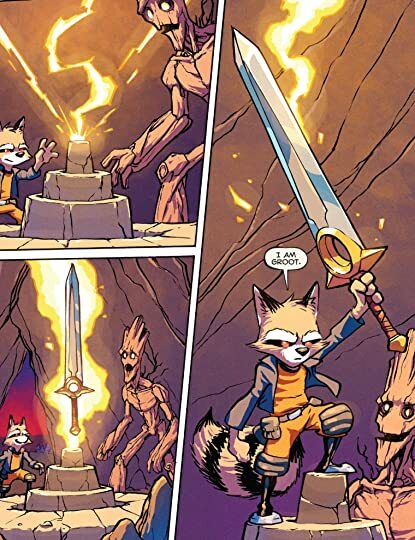 While on break from his work as a Guardian of the Galaxy, Rocket finds himself in trouble. Turns out he's wanted for murder. Yes he murders people, but those are all perfectly legal. 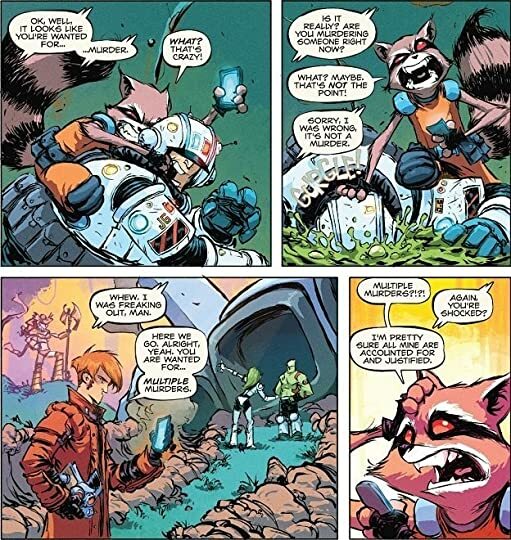 It seems another creature who looks like a Raccoon is murdering people and Rocket is receiving the blame. 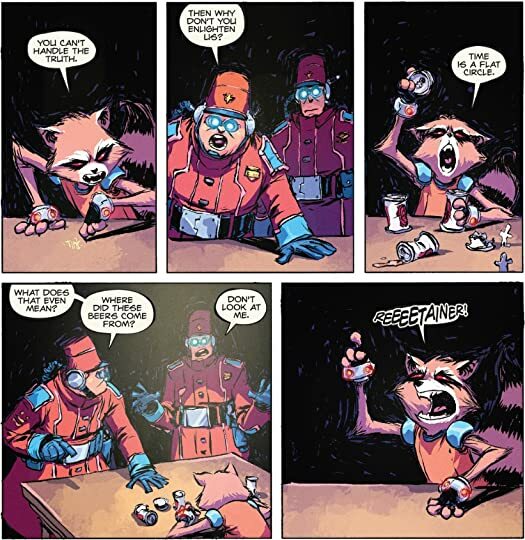 Rocket always has a plan and he fully intends to clear his name. A Chasing Tale is definitely a volume intended for fans of Rocket. He puts his ingenuity on display while defending himself with all he has. 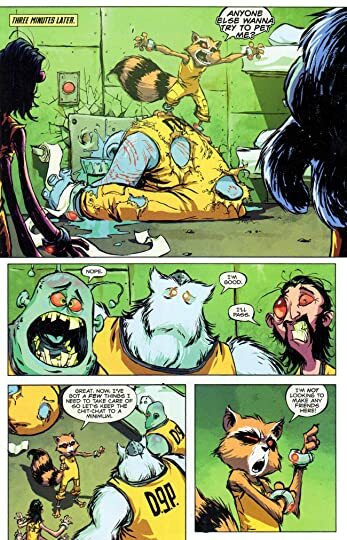 Rocket is a strange combination of violent and goofy and he's no different in this volume. There are two additional stories in this volume including one told entirely by Groot. The extra stories are short, but the artwork is good. All the stories end up with Rocket fighting his tail off. 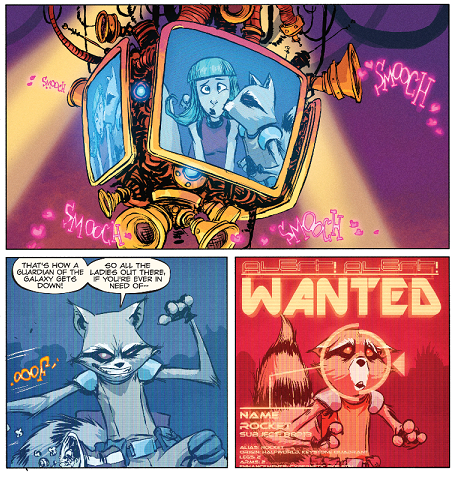 A Chasing Tale really highlights Rocket and the kind of messes he could easily find himself in.